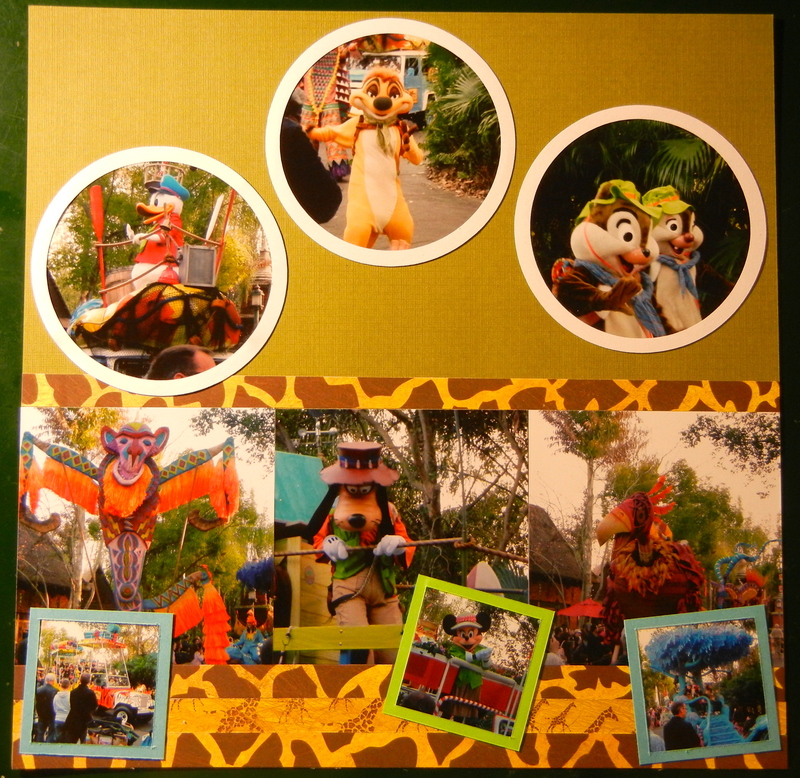 Some photos from the Jammin Jungle Parade at the Animal Kingdom at Disney World. The circles were cut using the George and Basic Shape Cricut cartridge. The title was stamped using clear stamps from Kaisercraft. The giraffe themed paper is from Reminisce.